So I’m kind of hanging by a thread today. It was a rough day and it’s been a long week with year-end close in full swing. Thank goodness there is a long weekend coming up. A friend of mine sent a message to what she thought was her co-worker complaining about her boss. BUT it wasn’t to her co-worker, yep – it was to her boss. Wow! Hate when that happens!!! And unlike emails where you might have a second to try to recall it – not with IM – that stuff is instantaneous! 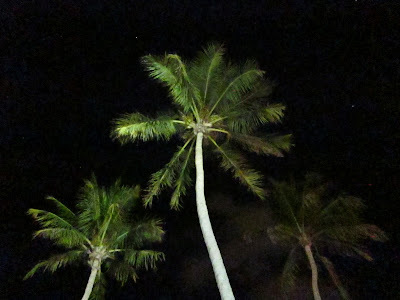 That was Key Largo, FL taken from the pool – ahhh that was a great time! It seems to hit me every year at this time – it is time to go somewhere warm. Somewhere where you get to bust out the really white legs (gotta self-tan those bad boys first!) and wear a light cotton tank top without a wool sweater over it! But I don’t know if that’s going to happen soon. We will see! A School Uniform To An Orphan In Africa So They Can Go To School, Or Meals For 1 Month! CommonThreadz offers so many different t-shirts for men, women, infants/babies. They also offer a line of t-shirts that were designed by orphans. For every orphan-designed shirt that is purchased, they will give meals for one month. The next challenge is a Trek to Machu Picchu for 10 days – pretty awesome! There is really a ton of information on their site and I could go on for hours.